saying is a modified version of what Ravi/Rabi says in the chapter, "It's as if like the light, you're going to disappear..." <--sounds gay, I know but it isn't. Looks good! The lighting is well done and I like the simplicity! Nice job! 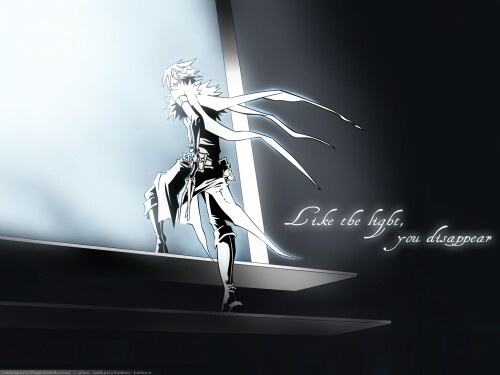 ALLEN WALKER! AHHHHHHHHH! I luvs it! like everyone else is saying, lighting looks spectacular! It is a simple, good picture. Nice composition. Awesome vector. Love the simplicity. OK for the blur effects. But, I don't like the outer glow. Hate the text. The bottom part of the wall is a bit weird. Simply yet elegant, the lightning is great. Beautiful! Good job with the background! The lighting is really well done! And I like the simplicity there. Oooooooooooooh, this is awesome! I love, love, love it. The lighting is simply magnificent. Excellent job catching the moment. Oh wow, It's REALLY big. LOOl. Good job! Keep up the amazing work~!